Mason Mill Park, part of DeKalb County Parks and Recreation, surrounds the area where Burnt Fork Creek merges with the South Fork of Peachtree Creek. In March of 2011 new features of the park were dedicated. PATH Foundation constructed a concrete road and boardwalk through the mature forest in Mason Mill Park, linking Medlock Park and Clairmont Rd. Eventually there will be an extension of this that runs north to North Druid Hills Rd. Many residents in the community opposed the construction for environmental and financial reason. In Mason Mill Park , upstream of the hiking trails and other recreational facilities, the floodplain of Burnt Fork Creek contains a large beaver pond, several acres in extent. The wetland created by the beavers provides habitat for other wildlife, and helps to filter pollutants. The CSX rail line runs along the southeast edge of the pond. 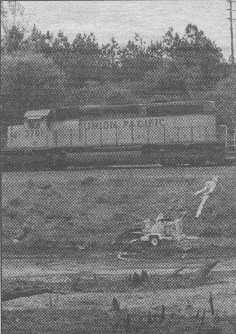 On about April 11, 2001, representatives of CSX attempted to lower the level of the beaver pond, which they said had threatened to erode the rail bed. 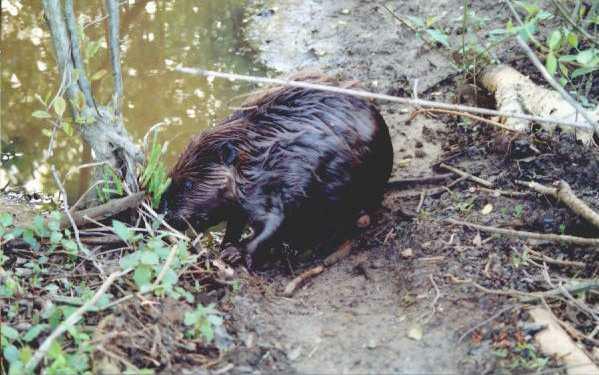 Witnesses said the beaver dam had been breached in three places. Witnesses also reported dead wildlife and a smell of spilled fuel. After learning of this incident from a park user, Burnt Fork Watershed Alliance (BFWA) reported these events to the county authorities. Subsequently, CSX met with DeKalb Parks and Recreation. These parties, together with the DeKalb County Soil and Water Conservation District, the U.S. Army Corps of Engineers, members of the DeKalb County Board of Commissioners, and BFWA, continues to monitor the beaver pond. Copyright 2001 Greenwood Publishing, Inc. In what looks like a modern day version of David and Goliath, some little "critters" living in the Mason Mill Park wetland have been burrowing under the CSX railroad bed, their tunnels causing the tracks to deflect as much as three inches when trains ride over the spot. By undermining the rail bed, the animals - thought to be muskrat - are forcing train engineers to throttle back to half speed as they make their way across the wetland. Unfortunately though, the story doesn't end there. When CSX tried get to the root of the problem, they came up with a solution that has area residents angry,. and Burnt Fork Watershed Alliance chair Carol Hayes crying "foul". In what many are calling a clear case of over-reaction, CSX workers entered the wetlands back in April and drained the pond, diverting the water into Burnt Fork Creek. 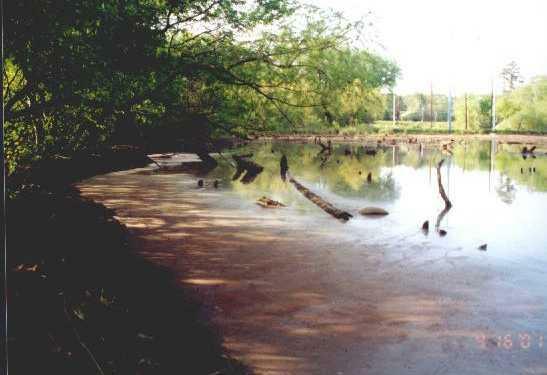 According to Hayes, their action - done during the night - produced a broad expanse of mud where the pond once was. It left one of the beaver lodges high and dry. 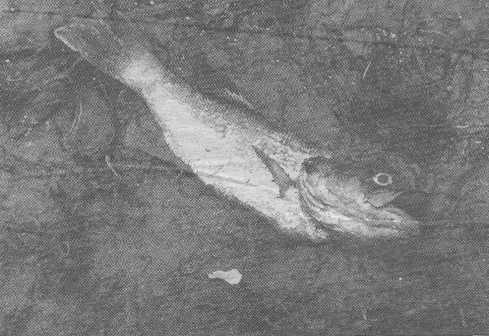 Then, during the drainage process, the pump spilled fuel into the area, compounding the trauma to fish and other wildlife. DeKalb Parks and Recreation Natural Resources Manager Ginna Tiernan says her department was not told in advance of the plan, even though the drainage work encroached on the County's property. While noting that the railroad has a right to maintain its track and protect their right of way, Tiernan would have preferred for CSX to consult first with Parks and Recreation before undertaking the project. According to Tiernan, most of the wetland appears to be recovering from the intrusion; however, she believes that the upcoming repair work on the track bed could once again negatively impact the fragile ecosystem. She is especially concerned that one of the options under consideration may involve draining the pond again, and hopes that DeKalb Parks and Recreation officials will be invited into the decision-making process. After several failed attempts to discuss this issue with Arcadis G&M, the consultants handling the repair project, this reporter received an unsolicited call from Elizabeth Gabrynowicz, director of Corporate Communications from CSX headquarters in Richmond , VA. Apparently notified by Arcadis that the Community Review was inquiring into the Mason Mill project, Gabrynowicz said she would provide any information necessary. However, she was noncommittal about plans to correct the track damage, saying only that several options for the repair are under consideration. In addition, she would neither confirm nor deny that one of the possibilities involves draining the pond and constructing a temporary roadbed for large trucks to enter the area. She indicated that the railroad is working with "a number of consultants," as well as the U.S. Corps of Engineers. "We will also be working in conjunction with the State of Georgia and DeKalb Parks and Recreation," she said. Gabrynowicz said it will be "at least a couple of weeks" before a decision is made. It should be noted that problems between railroads and the local communities or interest groups are not unique to CSX. To the west of Atlanta , residents of Austell have fought a losing battle for the last four years to maintain the integrity of their neighborhoods, while Norfolk Southern Railway moved forward with its plan to build the largest intermodal center in the Southeast. The 500-acre site will soon be home to a facility where trucks and trains will exchange cargo containers. throughout the day and night. According to Austell Mayor Joe Jerkins, Norfolk Southern sued the city when the railroad's original request for rezoning was denied. The railroad won. Then the city of Austell mounted a series of lawsuits to halt the project, but none succeeded. Why? The answer may lie in the fact that state and federal courts-all the way up to the United States Congress-have historically exempted railroads from local zoning laws. In fact, in an interview earlier this year, an attorney representing the Surface Transportation Board in Washington , D.C. was quoted as saying that no local community in recent years has won any sort of legal action when attempting to stop the railroads. After so many failed attempts in Austell, Jerkins has become philosophical about the issue, To remedy the flooding caused by Muskrats digging tunnels under the CSX Rail bed located in Mason Mill Park wetlands, CSX drained this pond which diverted the water to Burnt Fork Creek. saying, "When you fight something like this, you just waste money and time." In another example, there is the story of the New Jersey township that sued the Susquehanna Railway, trying to halt construction of an engine repair facility bordering a residential area. The local community pursued legal action, eventually taking it to the state Supreme Court, where they lost. In their ruling the justices wrote, "states may not interfere with the operational aspects of railroading. Localized concerns may not burden the nationwide system of railroads." With such blanket authority, it is apparent that local communities face nearly insurmountable odds when attempting to take on the railroads. On the other hand, there are times when communities can win, and Lilburn is a case in point. Frustrated over their two year battle with CSX to get necessary repairs on a railroad crossing in the center of town, city leaders finally turned to Rep. Charles Bannister who represents their district in the Georgia legislature. Bannister; along with several colleagues whose districts were also experiencing problems with CSX, drafted legislation that allows local governments to do crossing repairs if the railroad fails to do so within 15 days, and then to send the bill to the railroad when the work is done. According to Bannister; HB 162 is currently in committee, and he and his co-sponsors believe it could provide needed recourse to municipalities in their relationships with the railroad. 'We're working on it, and we hope it will come to the floor for a vote in the next session," he said. Interestingly, Bannister noted that CSX completed the repairs on the crossing in Lilburn during the time his bill was under discussion. Closer to home, Decatur has had its own checkered history with CSX revolving around the efforts to save the old train depot, located between College and Howard Avenue . While the railroad refused for years to restore the decaying building, it also balked at the City's efforts to buy the property. However. the City and the railroad finally reached an accord with the City's promise that the building would be moved back 25 feet from the tracks. Now that the sale has been completed, Decatur officials are working to finance the move. If all goes well, Decatur might be just as lucky as the town of Flowery Branch , which moved its train depot across the street last year, completing the trip in about four hours, thanks to a series of I-beams and a special trolley constructed by a local father-and-son team.